TGIT lovelies! Today is all about one of my absolute favorite trendy items (something I usually steer away from) of all time: the jogger pant. Such a glorious item - the perfect combination of comfort and easy glam. These are basically sweatpants that can be worn out of the house, paired with a dressier shirt, worn with heels, thrown together with your favorite flats, an oversized shirt and fabulous lipstick. I have nothing but love for these pants and I sincerely hope they are here to stay - #sweatpantsforlife! I rounded up some of my favorites below! 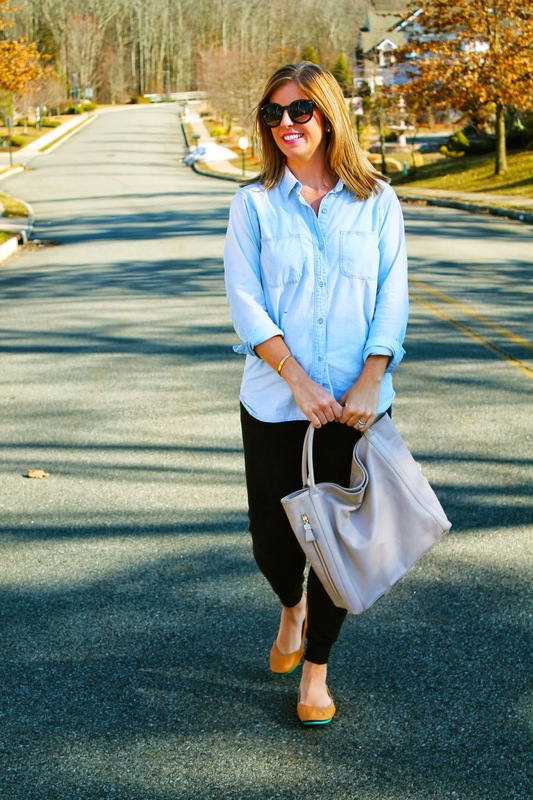 I think I need to make the marriage of chambray and joggers happen and soon! That is seriously the best pair of jogger pants I've ever seen. Not too baggy and the perfect amount of cinch at the bottom and from Target?? <3!!! I also need that chambray top. Love this look on you! Love!! This outfit is my dream. My jogger pants are way too baggy - I need to find a pair that fitne like this, which may be hard with my skinny legs! love a good comfy cute outfit. i could wear my chambray everyday! 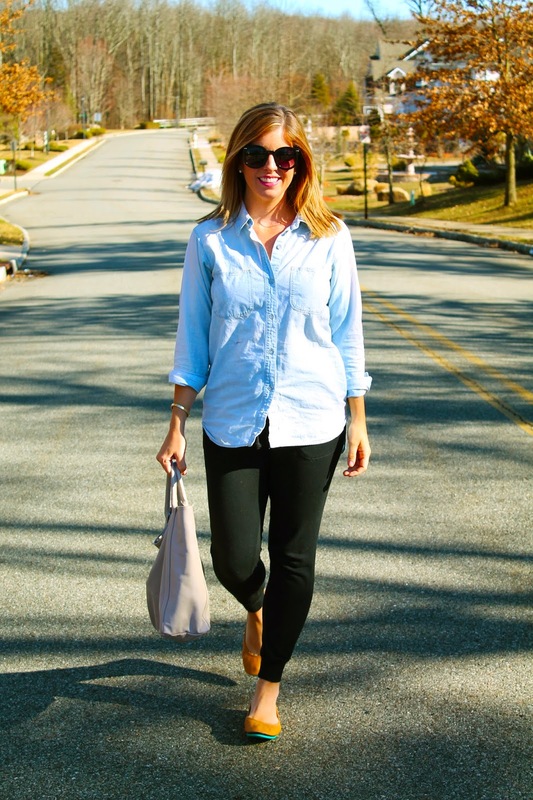 I love the jogger pant trend, you styled them super cute too! Love those pants and your lipstick! What is it?? This is such a cute look! I will have to look into getting a pair, because they look absolutely adorable on you!